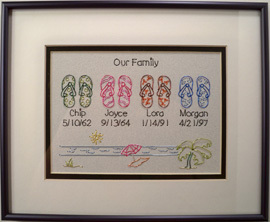 Family pictures are just different versions of the Grandma's Angels Pictures. 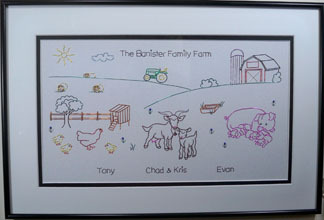 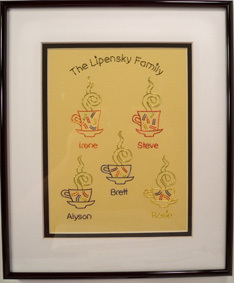 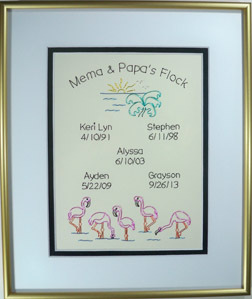 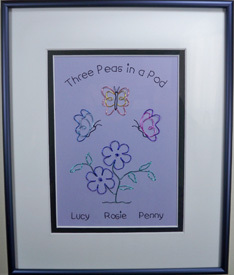 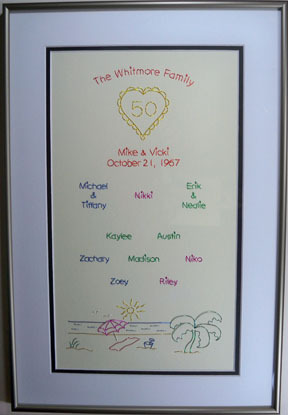 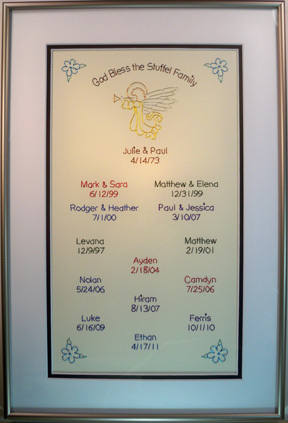 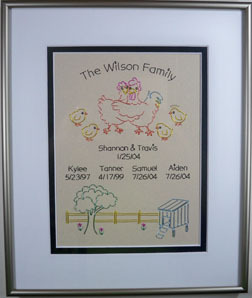 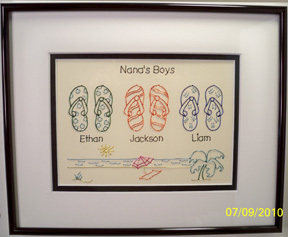 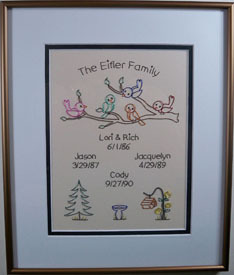 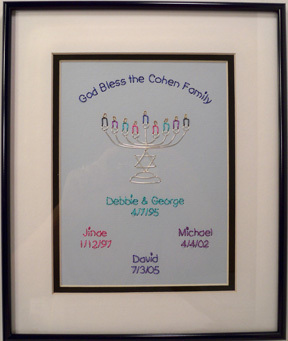 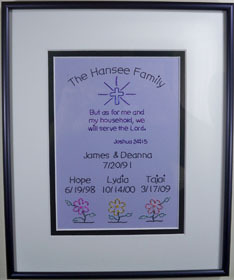 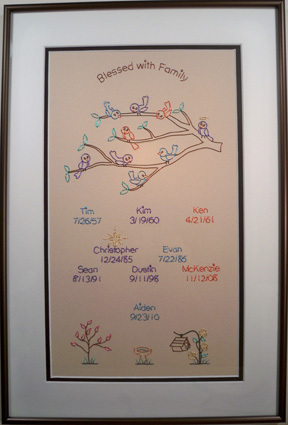 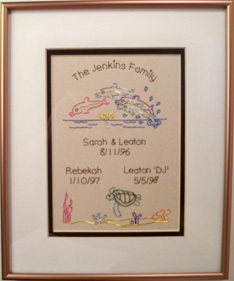 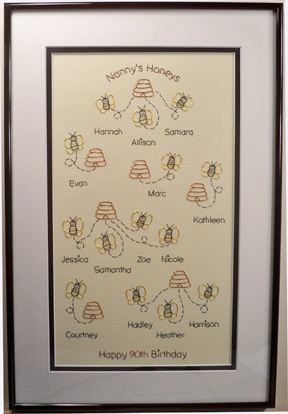 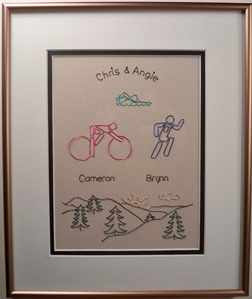 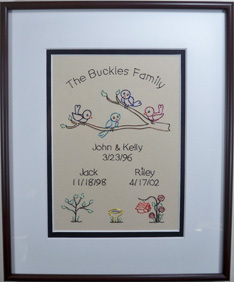 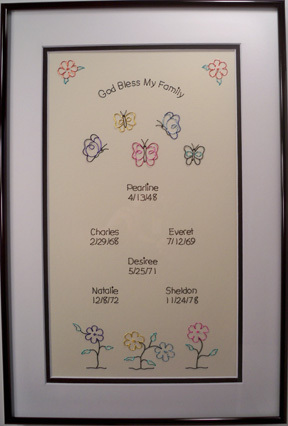 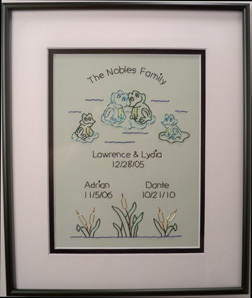 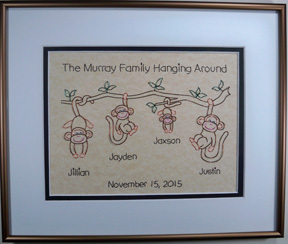 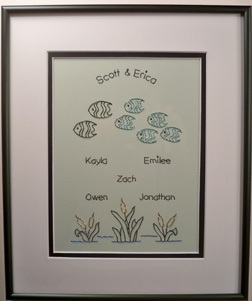 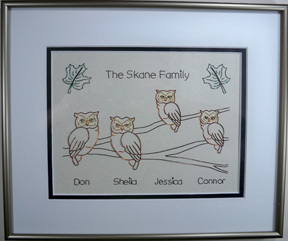 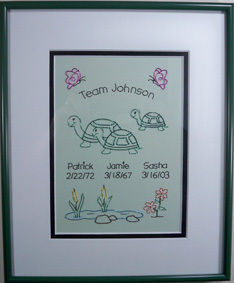 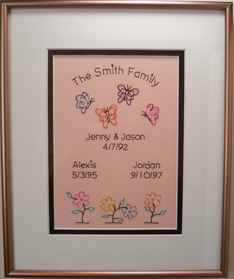 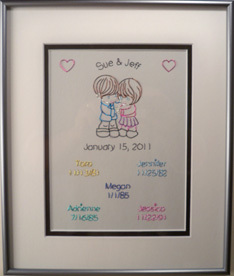 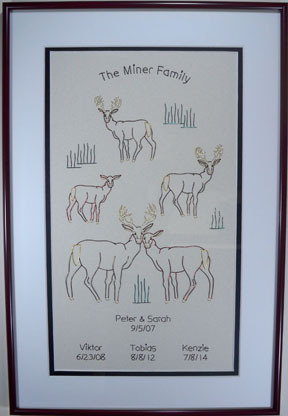 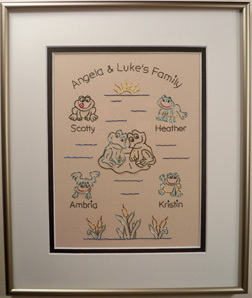 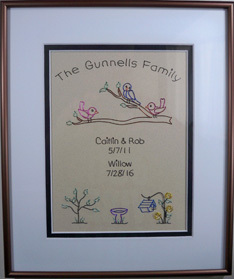 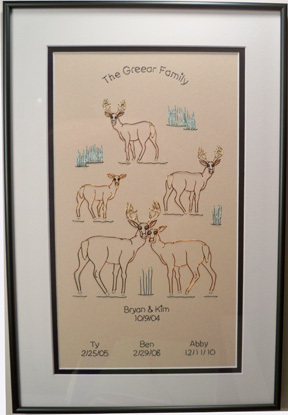 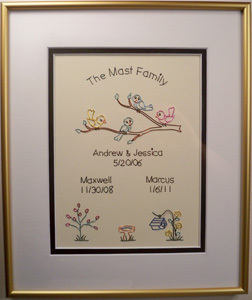 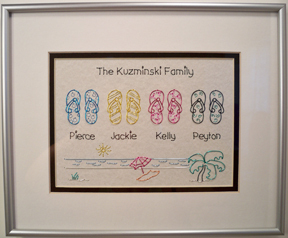 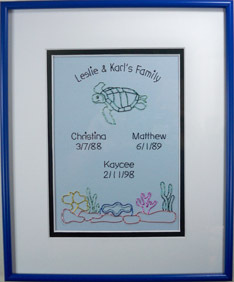 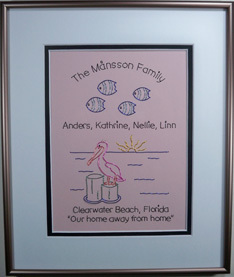 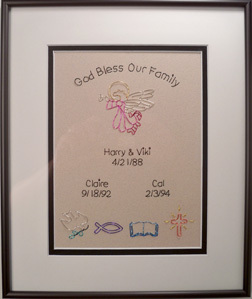 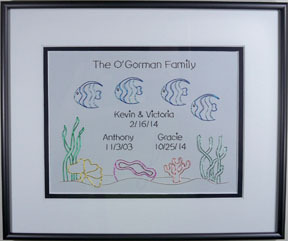 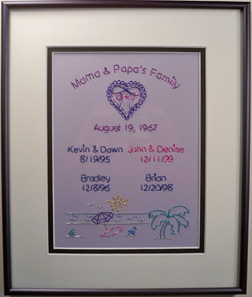 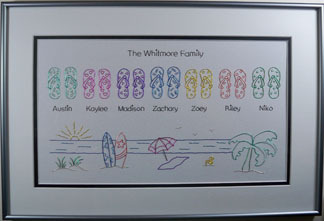 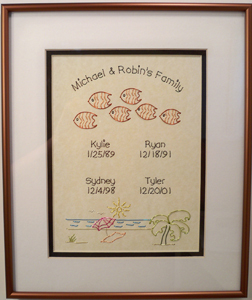 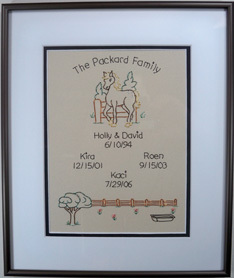 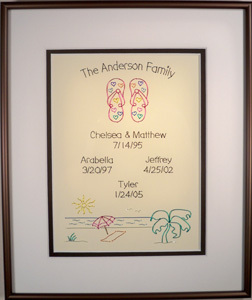 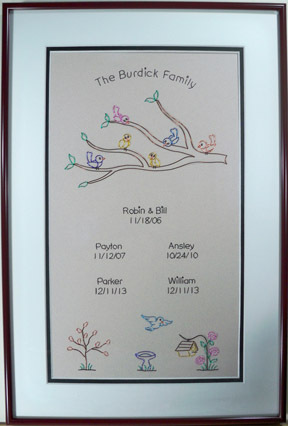 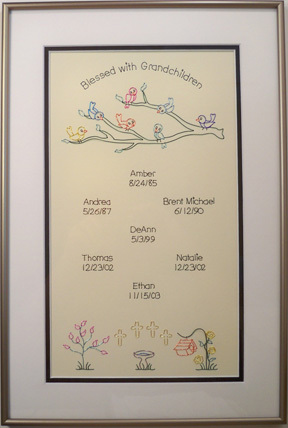 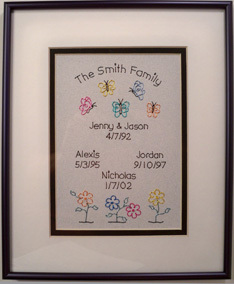 With the family pictures, you choose a theme and there are usually two pictures of the theme done with the colored wires and the names are usually done in black wire or one color. 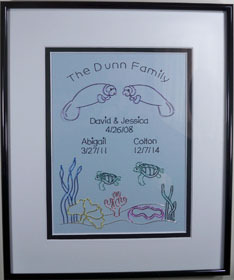 Feel free to give me your ideas of a new theme.